For when music says it better than words, Facebook is giving users the tools to add favorite songs to the News Feed, Stories, and even profiles. 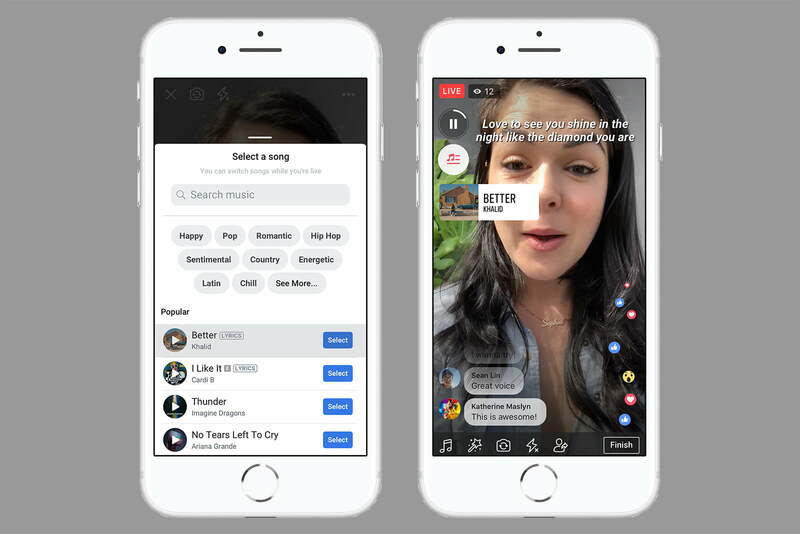 On Wednesday, October 24, Facebook debuted music for Stories and the News Feed, while expanding a Live video version of Karaoke and promising that users can soon fuse favorite tunes into profiles too. The features come after several deals with major music labels. Facebook Camera’s new music sticker allows users to add music to Stories and will soon also allow for mixing the music into the News Feed as well. The sticker is similar to Instagram Stories’ music sticker; users add the sticker marked Music to the image or video, choose a song, then choose what section of that song to play. The sticker gives the musician credit. The tool works with both images and video, including those shot within the Facebook Camera and pre-recorded media added from the device. While the tool is already available for Stories, Facebook says the network is bringing the sticker to the News Feed soon, too. Besides the News Feed and Stories, Facebook will soon also let users include a favorite song in their profile. The feature is meant to share what you’re listening to or a favorite song. While new for Facebook, it feels a bit reminiscent of MySpace profiles. From the sound of it though, Facebook says profile visitors will have to play the song, so the feature doesn’t sound like visitors will automatically be serenaded by your profile. The profile music, like the stickers, gives a visual credit to the artist. Tapping on the song will also lead to options to add the song to your own profile or to view the artist’s Facebook page. The third music-focused feature is an expansion of the Lip Sync Live, a feature launched earlier this summer encouraging Live “performances.” Besides rolling out the feature to “many countries,” Facebook is also now giving some songs on-screen lyrics. Think of it as karaoke for Facebook Live, only without your voice.